Yes, you CAN make homemade ketchup with honey – sweetened ONLY with a little honey – that your family will love. Plus, it’s made in just minutes with basic pantry staples! You can find more great recipes like this on the Quick Healthy Recipes page. 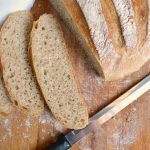 This recipe is one of AOC’s Pantry Basic series – basic foods you can find in almost everyone’s pantries that we buy from the store, thinking (like I did!) that they can’t be made at home. 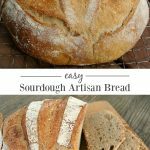 But I’ve found they are not only simple and cheaper to make at home, they are actually better tasting – and of course better for you because you get to be the one to decide the ingredients. 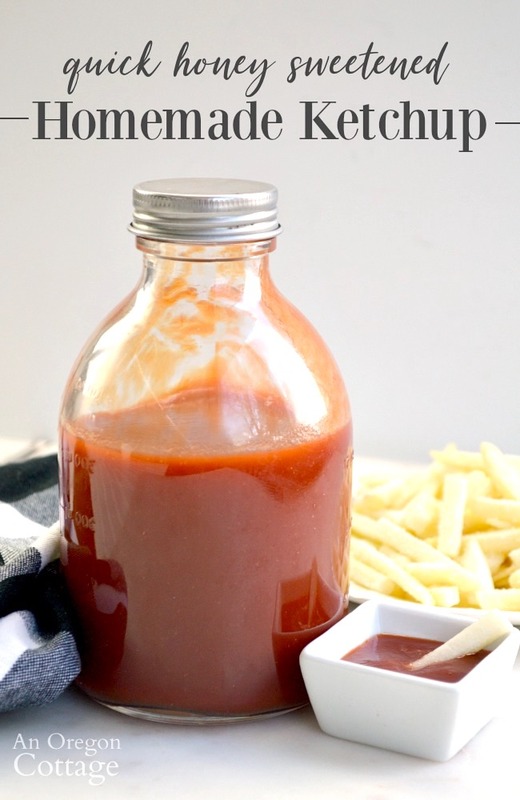 Homemade ketchup (and other recipes I call “pantry basics“) was one of the first recipes I published when I started AOC back in 2009. The recipe was a revelation to me – it tasted great, I loved how easy it was to make our own ketchup, AND I could control the ingredients. You can imagine why I rushed to get it up on the site, I was so excited to share the recipe! So, what’s the big deal about buying ketchup? 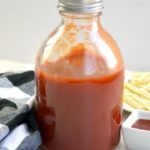 When I started making this easy homemade ketchup, options other than major store brands weren’t available. If there were organic brands, they were prohibitively expensive. I can make it with less sweetener (even organic brands often have the same amount of sugar – about 4 grams sugar per tablespoon, similar to a small chocolate chip cookie!). I can choose the type of sweetener (honey, maple syrup, brown sugar, etc.). It still is cheaper to make it (around $2 for almost 3 cups). It takes about 5 minutes hands-on time. That last point has actually saved me many times as the family was looking forward to the burgers that were grilling or pigs in blankets that were baking and I realized we were out of ketchup. But I always have tomato paste, vinegar, and honey, so I can whip up a batch in no time. And that 15-20 minute simmering time? Well, I’m here to say you can push that to ten minutes or even five and still get good ketchup! I’ve experimented with adaptations a lot over the years, using less brown sugar, trying maple syrup, and then honey, and always seeing how low I could go on the sugar and still make my family happy. In the end, it’s this version sweetened only with 1/3 to 1/2 cup of honey that hit the sweet spot (pun intended!). 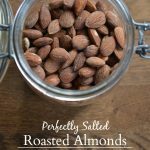 Honey is sweeter tasting than processed sugar, so you can generally use less of it in recipes like this. I started with 3/4 cup and then found we could go lower still. Starting with tomato paste is what makes this recipe quick. (TIP: tomato paste should have one ingredient – tomatoes. If your paste has more ingredients, start buying a different brand.) 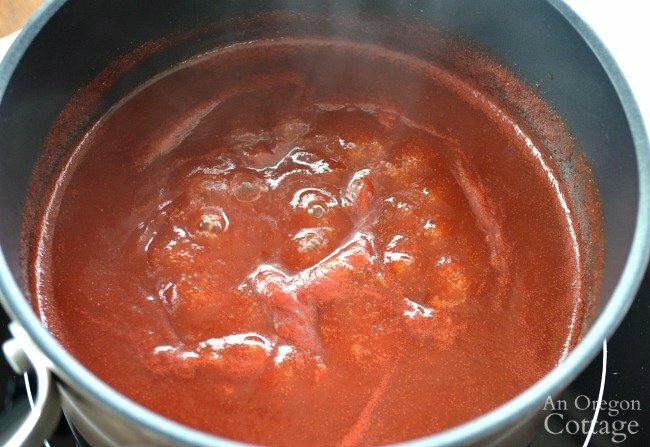 If you were to start with canned tomatoes or even fresh tomatoes, you’d be looking at hours of cooking to get the ketchup thick enough. 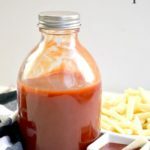 16 ounce Glass Storage Bottles – I always get asked about the cute bottle pictured that I use for our ketchup – it’s many years old (back when Martha Stewart had a line at Kmart!) and I haven’t found anything exactly like it. However, here is a set of nice bottles that come with labels (gift idea! ), and these swing-top square bottles would be fun. Also, this site has a lot of glass bottle options you may like. Like I mentioned, it’s super simple to throw this together – just dump all the ingredients in a medium sized saucepan, bring to a boil and then turn to low to simmer for 15 to 20 minutes (or what ever time you have until dinner, a-hem). The one thing you’ll need to be careful with is spitting ketchup during the simmering stage. 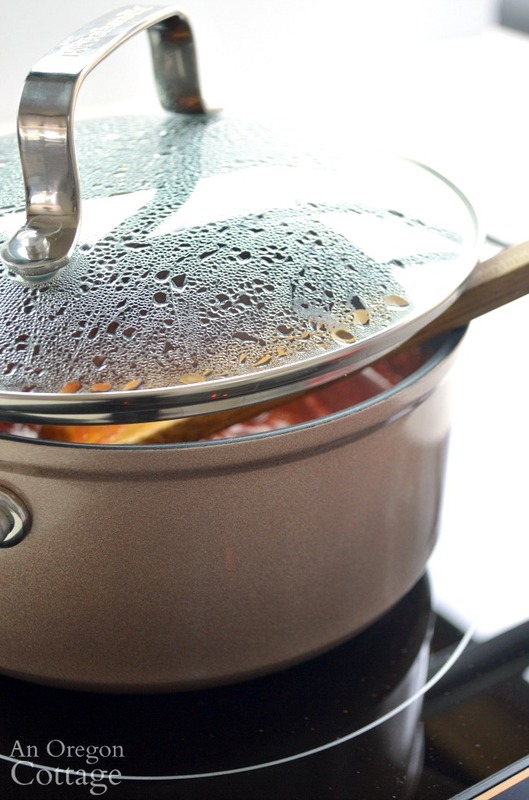 While it doesn’t need any hands-on time other than a stir mid-way through the simmer, you will need to protect you and your stovetop from the hot bubbling, spitting ketchup. To do this, I’ve found it easiest to place a wooden spoon in the pot (metal gets too hot) and then balance the lid on it so there’s an opening for air and moisture, but the spitting bubbles are contained. The reason you don’t want the lid on completely is to allow the ketchup to thicken by cooking down some. 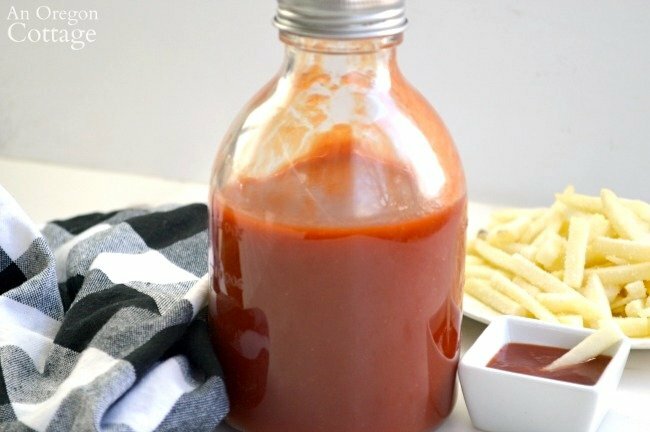 Once it’s simmered, cool the ketchup a bit, testing to make sure it’s the consistency you like, and use the metal funnel to carefully pour it into a glass bottle. Store in the refrigerator like you do store bought ketchup. How long does homemade ketchup last? So here’s where I’m going to tell you what I can find as the recommended time to keep homemade ketchup in the refrigerator: one month. And here’s where I’m going to tell you how long our ketchup lasts in the fridge: as long as we need it to. Which sometimes means a month, but often longer. I’m not sure how this would go “bad” with all the vinegar and ours certainly hasn’t. So, yeah, I’ll leave that up to you. 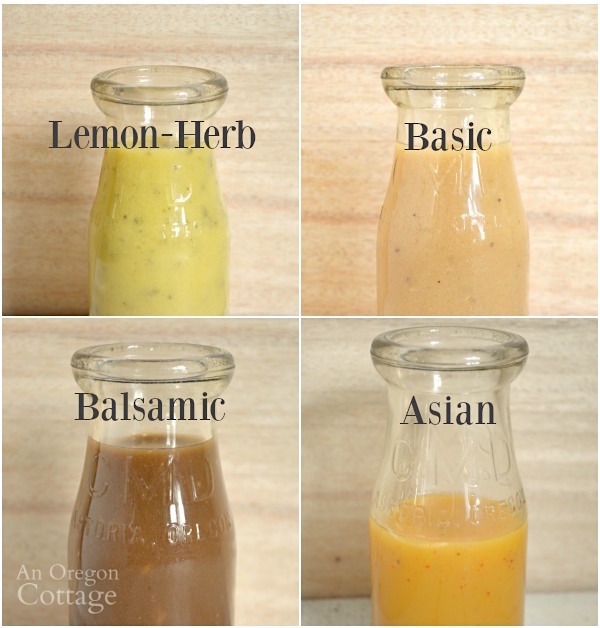 Make a half batch if you’re not sure how quickly you’ll use it, or freeze half. Can you water-bath can this ketchup? I’ve gotten this question often. No, this hasn’t been tested for canning safely, so it’s for refrigeration or freezing only. I can say that I don’t think it would ever be safe for water-bath canning since it’s so thick and a tomato product. Someone with know-how would have to test for pressure canning – and that’s not me, I’m a water-bath girl. Whenever I adapt a recipe to use a different sweetener, I always get questions about what the original ingredients were, so I’ll just get that out of the way now: all the ingredients are the same, except the sweetener was 1 cup of brown or white sugar, or a combo. Quite a difference, right? Should you adapt family favorite recipes? Making family favorite recipes healthier is always one of my goals when cooking. I know some people have a “don’t mess with it” mindset, but I’m more of a “why not see if there’s a difference” type of person. If there is a marked difference and we don’t like the new version, I go back. But what harm is there in experimenting? You may have one not-as-good recipe or you may have a new sort of life changing way to enjoy it, like this ketchup! 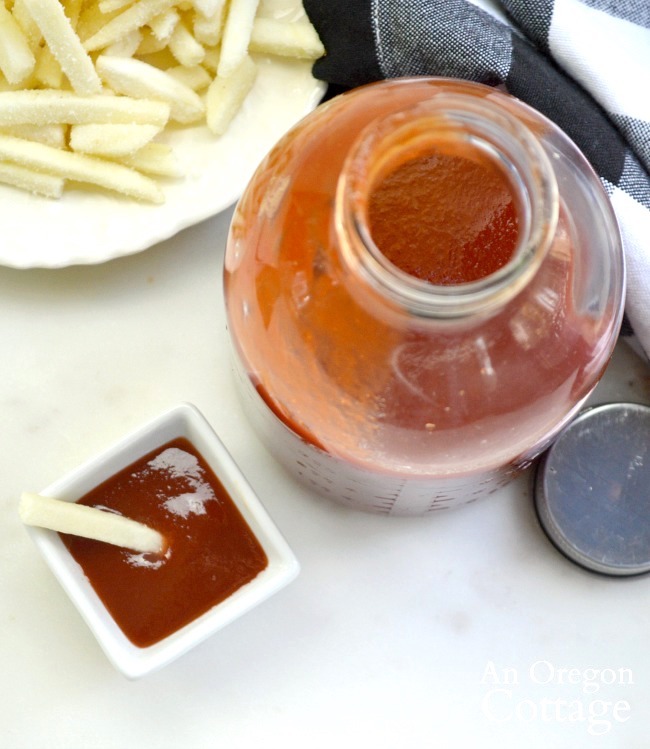 Our whole family still loves this ketchup with honey, and my kids continue to douse their food in it (teens and ketchup…) with no grumblings about any changes. That’s a good thing, right? I have used maple syrup, but didn’t care for the flavor in this recipe as much as honey. But definitely experiment if you’d like to! I fount that since it’s less sweet than honey, I needed to use about 2/3 of a cup to the 12 ounces of tomato paste. I tried coconut sugar, too. My family really didn’t care for it – there was a distinct flavor and it wasn’t very sweet, even with the 2/3 cup I used. I haven’t tried others and don’t use sugar substitutes, so can’t speak for them. Since this is thickened with the paste, it is easy to experiment with because the sugar is mainly for flavor. Try what you’d like and see how it turns out! 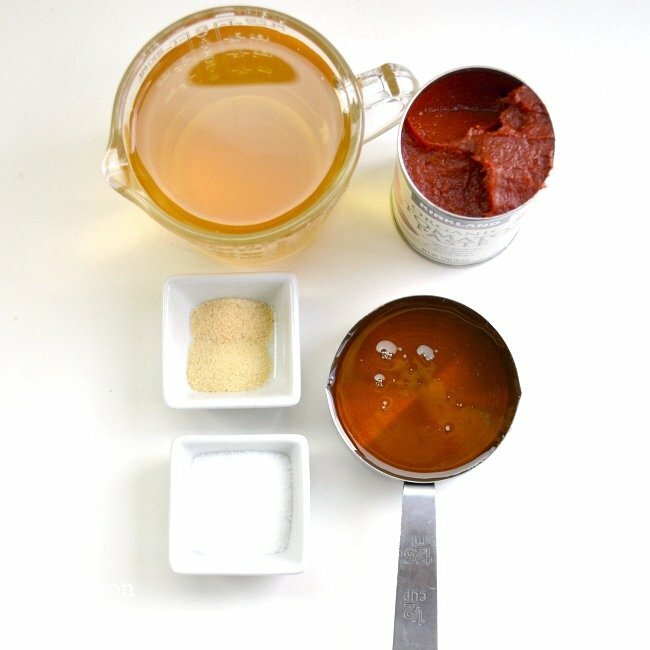 An incredibly easy ketchup that starts with tomato paste and uses honey as a sweetener needing only 5 minutes hands-on time to make. Combine all ingredients until smooth in a saucepan. Bring to a boil, reduce heat to low and simmer 15-20 minutes (you’ll need to partially cover because it will spit hot tomato out at even the lowest simmer). If it seems to thick, add water, a teaspoon at a time to desired consistency. 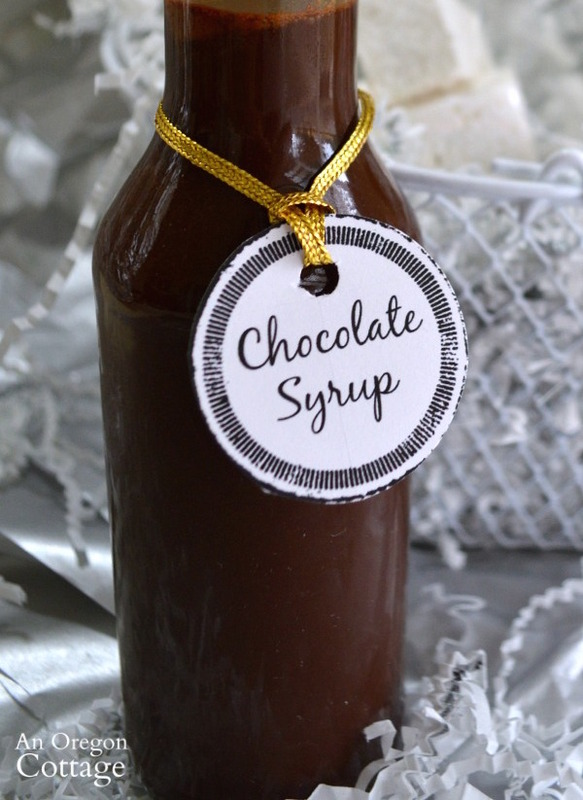 Let cool and then pour into a glass bottle for storage (a metal funnel makes this easier). Keep refrigerated. If it thickens too much in the fridge, just add some water (a couple teaspoons at a time) to reach pouring consistency. *This is the amount I always make for our family, though it does make a lot. If you need less, cut everything down by half – and yes, that would be only 3 tablespoons to 1/4 cup of sweetener for the half batch. 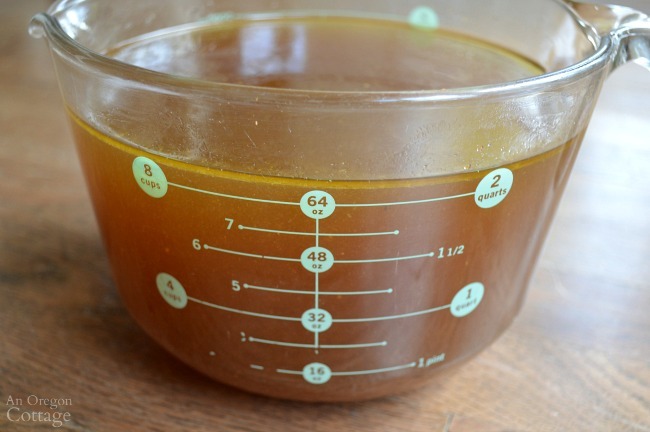 **If you’re trying to wean off of super sweet store-bought, start with the higher amount of honey, then see if you can go down to the lower amount later. 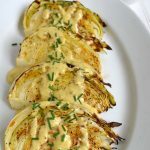 This recipe has been updated – it was originally published in March of 2009. Welcome - I'm so glad you've joined the AOC community! Your first step is to check your email to confirm your subscription. After that you will receive your email with the link and password to the VIP Subscriber Library where you'll find this download plus lots more including Dinner Menu Plans, pretty printables, organizing help, and more! I think you will love this, Beth! The funnel you’re describing sounds like a canning funnel – I only use metal with canning for sure. 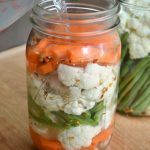 I have one linked in this article on the canning resources I use if you still need one. Score! I have a fair amount of vintage kitchen things I use (many on a daily basis) and was thinking of making the trek up to the Aurora Mercantile (may still) to hunt for an oldie, but this funnel looks to be the one. Thanks so much! 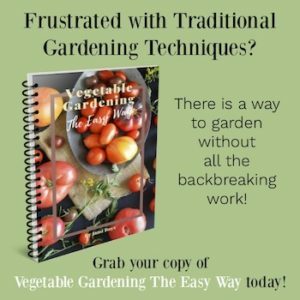 have you ever made tomato past? I have, but it’s time consuming and uses a ton of tomatoes for little product. There is a sheet pan recipe I’ve used in the past that’s pretty hands-off and gives me a bit I can freeze if I have enough paste tomatoes. I’ll have to add that recipe to my to-share list! As i wrote to you before, best ketchup ever, i make this for my Grandson, he is Diabetic and wont eat any other ketchup. So i would like to thank you again, Have a very Merry Christmas to you and your Family. Sounds great! What is the shelf life of this ketchup ? But really, we’ve never had it go bad and sometimes it would be months before we’d use it up. So definitely months – maybe 2-3? I started making this ketchup for my 20 year old Grandson and he loves it, thank you so much. So happy to hear this, Gail – it’s great to be able to make it just like you want, isn’t it? That’s helpful enough haha! Was looking for a month. My son is a ketchup monster so looking to eliminate the sugar! Thanks, will give it a try! First, thank you from the kitchen of another Oregonian! 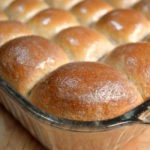 I’ve been trying for nearly a year to come up with a database of recipes that I want to use for menus. I was making very slow progress, getting bogged down with trying uber new recipes all the time! Then I found you’ve done a lot of the footwork already and we seem to love what your family loves, so Zowie! 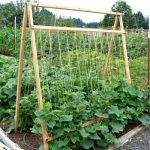 Tiny note: the link to pantry basics on this page doesn’t work for me. If nothing else, it proves how I’m skimming everything I can from your amazing blog and adding it to my own database, Paprika! I’m sorry to let you know and yet I realize that you want to know. And I DO appreciate being told about broken links! It is an ongoing issue with established websites like mine, unfortunately. Can you can this ketchup? It’s not tested for canning, Debbie, so I can recommend that. At least for water-bath canning since it’s so thick. Pressure canning might be okay, but I’d compare it to some tested tomato-paste based ketchup recipes to be sure (it’s really the thickness of this that would make it iffy to can). Can you keep this ketchup in the cabinet? does it have to be refrigerated? Gee, I’ve never really thought of that, Christine, since we’ve always just refrigerated most condiments (mustard doesn’t need to be refrigerated either, but we usually do). But yes, you can store it on a shelf since there are no fresh herbs or garlic and contains the cup of vinegar. I’ve never tried that – I’ll have to! I have to say I had a few doubt’s about this recipe but I tried it anyway, didn’t have white vinegar so I used apple cider,I didn’t have onion powder, but I used a bit more water and stuch a cinnamon stick in there ,let is simmer a bit and wow! How wonderful! I bet you could can it between the salt and acid in it! No expert but have done a lot of canning. I’d def look into it! Glad you liked it with your modifications, Wendy! I haven’t tested it for canning and since it’s so thick I’d only think pressure canning would work for this.